In 2004, San Francisco Beautiful recognized Pier 1: The Embarcadero with a Beautification Award. 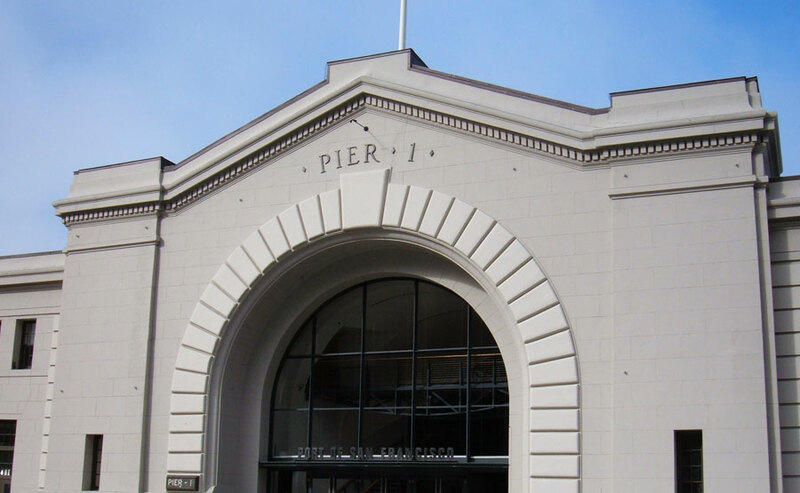 When the Ferry Building was closed for major retrofit and conversion into general commercial use, the Port of San Francisco needed a new home. The developer of Pier 1 abided by and worked with the Port’s community advisors to create new offices and public spaces. The old pier structure was gutted and renewed in a manner sensitive to its history. The grand interior has been accentuated by open staff offices on ground and mezzanine levels. Catwalks recall both ship bridges and warehouse gangways. Adjacent to public meeting rooms, a generous corridor invites the public to review Port history. A hydrothermal system using bay water has been designed to heat the building.